As I said in my last blog, although it’s spring in my actual world, throughout the periods of time in which I’m working on my novel I’m forced to transport myself through the seasons to winter. I’ve also been experiencing a dry spell with the plot of my novel. The truth is, I’ve used up several plot ideas already and although I’ve got the finish line firmly in sight (I’ve even written the concluding paragraphs), I’m running out of ideas and scenes. I’m stuck! This is where my WIP (work in progress) library comes in handy. My WIP library is a collection of books gathered together with the sole intent of providing the inspiration and information I need to enable me to complete my work in progress. The library is collated physically, I usually clear shelf or area of shelving specifically for that purpose. My current work in progress is a faerie-themed fantasy, which draws heavily on the folklore and seasonal changes associated with the forest setting. Many of the books in its WIP library are ones I already owned. I’ve always had an interest in wildlife, so some of the guides there have been part of my overall personal library since childhood. I’ve bought current and less recent children’s books with similar settings and themes, mostly at the recommendation of other writers and readers, and I’ve added a few more which I discovered myself. Not all these discoveries were entirely accidental, I do confess to searching bookstores, online and physical, for books in the early stages of writing my novel, which were added to my collection with joy. As I flick through the pages, I note any useful information along with ideas as to how I might use this information in my novel. I often find ideas and inspiration I hadn’t expected. For example, whilst looking for information on the legend of Pan, I came across fresh information on another character from forest folklore, the Green Man. I also bookmarked a section of the Sara Maitland book for further reading. No doubt, when I’ve read it, I’ll be tempted to re-read the entire book, but as any writer will tell you, you can never read too much. 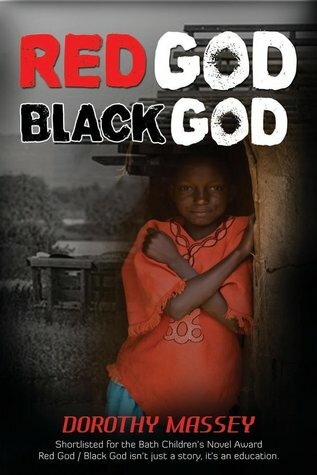 In my next blog I’ll share some of books which formed my WIP library for my first novel, Red God Black God. This book was set in Kenya and, although I’d visited the community in which the novel is set, I was determined to make it authentic, so lots of research was involved, and lots of the research came from books.